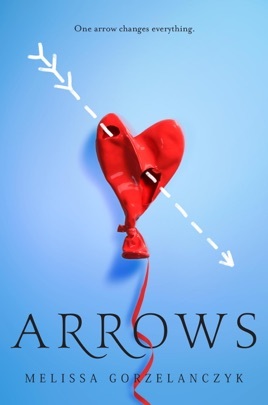 Aaryn, the son of Eros, flubs his final exam to become a god when he shoots only half of a human couple with a love arrow in a high school parking lot. One year later, Karma Clark, an aspiring dancer with her eye on a scholarship to an arts school in New York City, now has a baby daughter, Nell, and an unshakable love for her emotionally distant and unfaithful boyfriend, Danny. Eros sends Aaryn to Earth in human form to rectify his mistake, but if Aaryn fails to persuade Danny to propose to Karma, Aaryn will be sent to Blackout, where "failed gods go as humans, their memories wiped." When Danny announces his plans to attend college in Louisiana, a forbidden romance develops between Aaryn and Karma. Alternating between the perspectives of Karma and Aaryn, Gorzelanczyk's debut blends a light myth-meets-modern premise with weightier reflections about the struggles of a teenage parent. While the dialogue and banter are entertaining, the unsurprising, rushed resolution and thinly developed characters are less successful. Ages 14 up.